British Cycling has today announced the team of 18 riders who will represent the Great Britain Cycling Team at the forthcoming UEC European Track Championships taking place in Berlin, Germany, from 18 – 22 October 2017. Five Olympic gold medalists will compete in the event, including Katie Archibald - the reigning European champion in the Omnium and individual pursuit. Elinor Barker, who won gold with Archibald in the team pursuit in Rio 2016, will line up for Great Britain as will Steven Burke, Phil Hindes and Callum Skinner. Joining Archibald and Barker in the women’s endurance squad are Eleanor Dickinson, Emily Kay and Manon Lloyd, all of whom won gold medals at the UCI Track World Cup round in Glasgow last year. Kian Emadi, Chris Latham, Andy Tennant, Mark Stewart and Ollie Wood join Steven Burke in the men’s endurance squad, with the latter two returning to the track having represented Great Britain at the UCI Road World Championships in Bergen last month where Wood finished fourth in the under 23 men’s event. Current under-23 European team sprint champions Jack Carlin, Ryan Owens and Joe Truman will compete in the men’s sprint events with Hindes and Skinner, while Olympic bronze medalist Katy Marchant will be joined by senior academy rider Sophie Capewell, who makes her debut appearance at elite level in these championships. 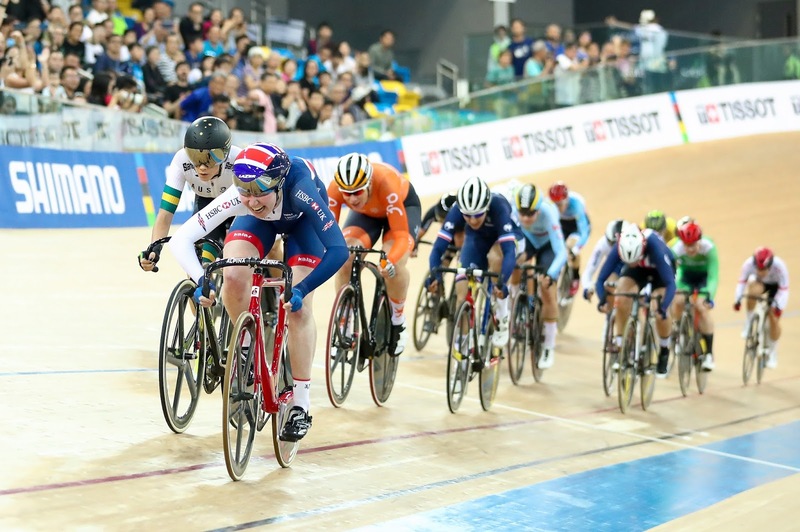 British Cycling’s head coach Iain Dyer said: “We’ve selected a strong squad for the UEC European Track Championships with the aim of starting the season with some good performances. “All the riders have had a good block of training and racing over the summer months, either on the track or on the road, with some promising signs of progression and consistent results. Reigning two-time European champion Katie Archibald said: “I won three medals in individual events at the European championships in Paris last year, and this gave me confidence going into the World Cups having focused all my previous training efforts on the team pursuit. I’m pleased with my results overall from the past year and aim to continue my form into the new season.